Very prompt and value for money service. Would recommend. For any residential type jobs. Jon was always on time and finished the job within quoted time frame. 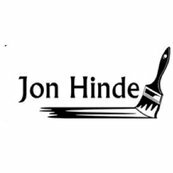 I would thoroughly recommend Jon and I will definitely use him again in the future. Great quality work and reliable friendly service from a real craftsman. Jon and his team did a great job. Professional finish with the personal touch. Highly recommended for service, price and fish. Easy to deal with. Good job at a fair price. I have recommended him to friends who have also been very happy with his services.